The best of the best in the real-estate game: Henriette Burde Immovest International Real Estate GmbH from Übersee, Chiemsee was awarded as „BELLEVUE BEST PROPERTY AGENT 2016“! World as BEST PROPERTY AGENTS. 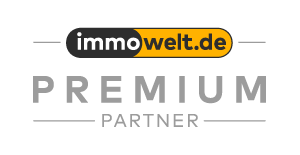 To the best real estate companies which had received the desired seal of this year – the already eleventh since the existence of the award -, belongs the company „Henriette Burde Immovest International Real Estate GmbH from Übersee, Chiemsee„. 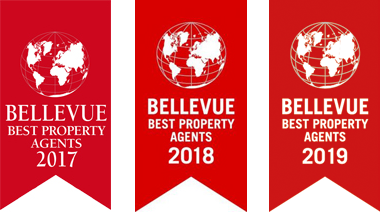 The award BELLEVUE BEST PROPERTY AGENTS is the only independent seal of quality in the real estate service industry and enjoys substantial national and international reputation. A six-member jury of renowned professionals from the real estate industry and BELLEVUE editors reviewed each year which companies earn the seal and are honoured. Among the most important criteria are integrity and experience, objective advice, market knowledge, offer diversity and quality as well as the after-sales services. The Hamburg-based publishing house publishes Europe’s largest real estate magazine BELLEVUE since 1990 and manufactures high-volume customer magazines in the content areas real estate, furniture, lifestyle and travel.